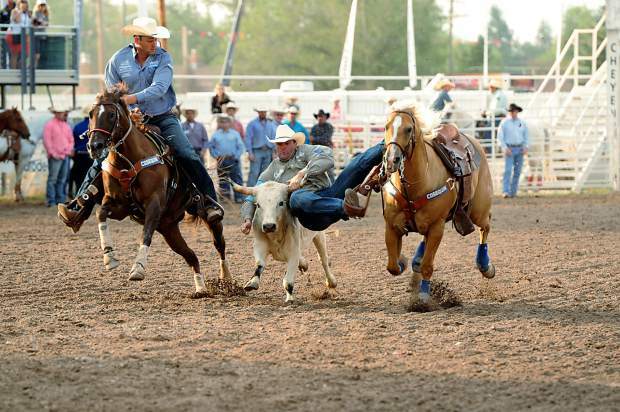 COLEMAN, Okla., (April 14, 2015) — The U Cross Arena in Coleman, Okla., will be home for the second annual Nothin' But Try Steer Wrestling Jackpot on May 9th. The competition, hosted by Sean and Bryel Mulligan will see many of today's top steer wrestlers competing for cash while supporting the Nothin' But Try Scholarship honoring Levi Wisness. Wisness was a steer wrestler who just missed qualifying for the Wrangler National Finals Rodeo (NFR) in 2007. 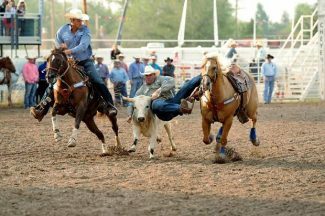 The North Dakota native was a student director for the Central Rocky Mountain Region of the National Intercollegiate Rodeo Association, (NIRA) earning the national steer wrestling championship in 2003 for the University of Wyoming. In October of 2007 he was diagnosed with cancer and had a tumor removed from his spinal cord at the base of his brain. He was successfully treated and was making his return to the rodeo arena when illness took his life in August of 2008. "It was rare to see Levi without a smile on his face," said Sean Mulligan. 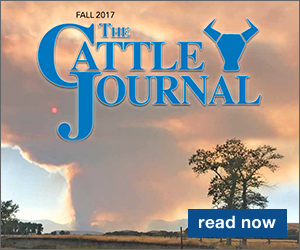 "Will Cook with Flying C Rodeo brought up the idea of having a big steer wrestling jackpot. I saw it as a perfect opportunity to raise money for Levi's scholarship." Flying C Rodeo located at Madill, Okla., has generously donated all of the steers and contributed to the added money. Cinch Jeans and Shirts, Equisure, Cosequin and The Sport Zone are also sponsors, bringing the added money to $5,000. The competition starts at 1 p.m. Competitors will compete individually, but they will also be part of four-men teams for the Cosequin Team Incentive where the winning team will receive a $1,000 bonus. Each team will have at least one NFR qualifier. Teams will also be auctioned off in a calcutta where 50 percent of the money raised will go to the scholarship fund. Entries close at noon with the auction following. Entry fees are $250. There will be two full rounds of competition with the top 12 competitors advancing to a final round. 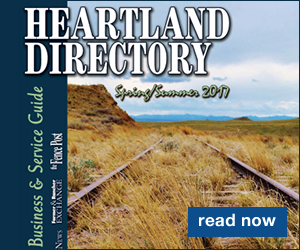 Last year's winner was Jake Rinehart, an NFR qualifier from Highmore, S.D., who is a former traveling partner of Wisness. Calling the auction will be Mickey Gee, the 1999 Professional Rodeo Cowboys Association world champion steer wrestler. Six-time NFR saddle bronc rider, Wade Sundell will be part of a team that is roasting a pig and serving lunch. Additionally, a silent auction will be held with the proceeds going to help Julie Mankin a well-known writer and rodeo publicist who was tragically injured in an auto accident on March 24th. Mankin is expected to make a full recovery but sustained a broken neck and various other injuries. Mankin attended college at the University of Wyoming with the Mulligans. To donate items for Mankin, contact Susan Kanode (817) 307-6336. Donations will be taken at the gate for admission. The Levi Wisness Nothin' But Try scholarship is one of four that are given at the College National Finals Rodeo. They go to NIRA members who have faced adversity but have never given up. The original scholarship was started to honor bull riding champion Shane Drury. The other two awards honor Betty Gayle Cooper and Lee Akin. Since the scholarship started in 2006, $25,000 has been awarded to students whose stories exemplify the Nothin' But Try attitude.